I'm impressed that the MTA knew to leave exactly three blank spaces for additional subway lines at the Fulton Center. By 2018, it will look like this: . That's pretty damned good, especially when you include the PATH train and ferry service! If you include the late night service, the Fulton Center will serve as many lines as the Times Square station, which I believe would make them both the best connected subway stations in NYC. 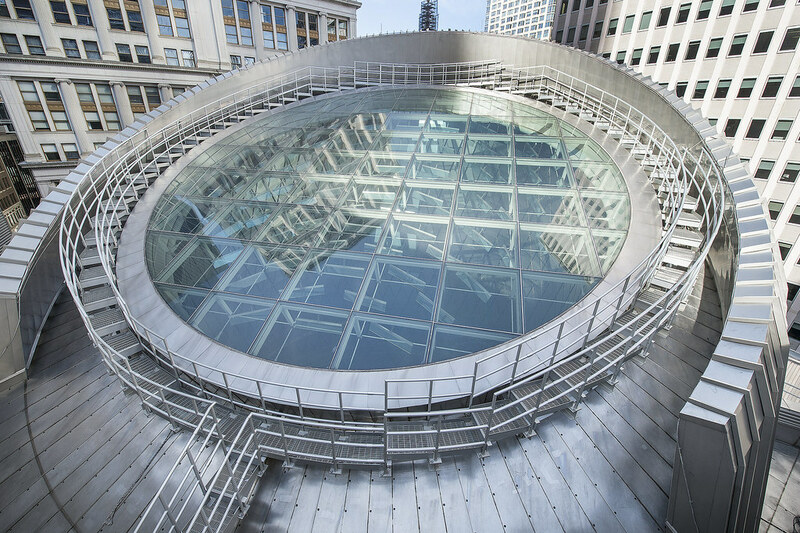 Can you walk underground from Fulton Center to the WTC complex without paying a subway fare? Yes , from Brookfield Mall to Fulton.. The one thing that noticed today going through Fulton Center; there were no signs directing you to PATH trains. Only thing is when you first enter the Dey Street Connector there is a sign to "WTC Transportation Hub" but no mention of PATH trains anywhere unless I missed it. In the short time there I saw four people ask directions to PATH and were told to go down connector. When one person asked why aren't there any signs for PATH, the security person just shrugged. That needs to be addressed ASAP. I agree. And it doesn't even say "WTC Transportation Hub" at the Fulton Center's entrance to the Dey Street Concourse yet; it only says it inside the tunnel itself. There should be PATH signs for sure, even though only half of the tracks are open. Luckily, it did get a little easier once they opened the second half of the Oculus recently, since they also cleared a straight path from the Oculus floor to the upper level of the West Concourse. However, it indeed won't be an intuitive connection until they finish installing the remaining PATH tracks and finally open the West Concourse in full.